Merchandise ordered in error may be returned for credit. A 35% restocking fee will apply. Returns will be accepted within 30 days of order. Please allow 2-3 days to process returns. Shipping is non-refundable. Customer is responsible for shipping returned goods. Upon receiving the returned items, credit is issued on unopened unused portion less restock fee and cost of original shipping. 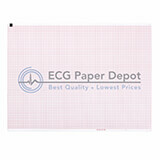 ECG Paper Depot is committed to protecting your online privacy. Keeping our customer personal information private is paramount to us. We do not give or sell any customer information you provide us to any other companies. 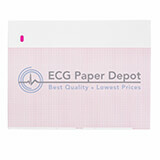 We understand that your personal information is given to us for purchasing and shipping reasons only. Only information required to process order is asked: your name, email address, mailing address and your credit card number and its expiration date. 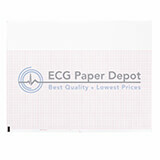 By using our site you authorize ECG Paper Depot to provide information to legal representative should the need arise resulting from legal action. All data transmission over the Internet will be transmitted using SSL (Secure Socket Layer), while we strive to protect your information, ECG Paper Depot cannot ensure or warrant the security of any information you transmit to us, and you do so at your own risk.